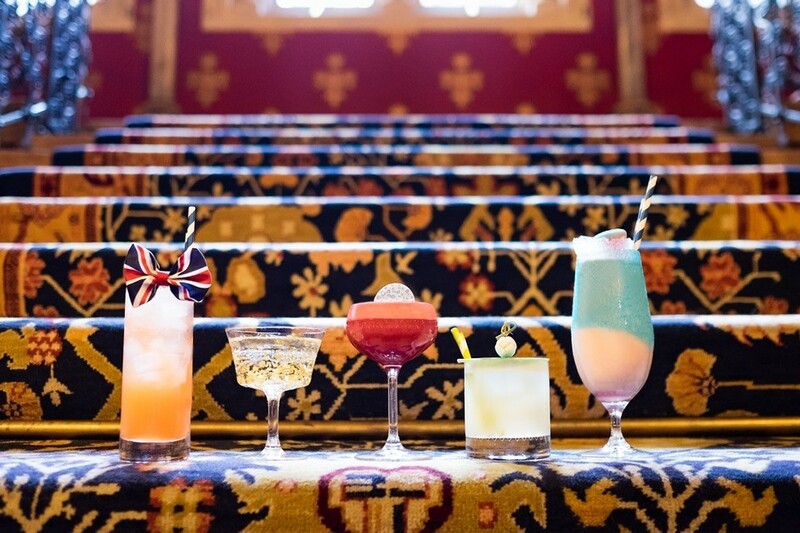 In celebration of this year's Spice Girls' reunion tour and the band's 20th anniversary, the St Pancras Renaissance Hotel - where the music video for Wannabe was filmed - has created a special Re-Spiced cocktail menu. Made up of five new cocktails - one for each member of the band - the playful menu boasts a unique line-up of flavours. The Ginger Kick has a real bite to it with Chase gin, Campari, Aperol, peach liqueur, orange juice and lashings of ginger beer while the Bloody Scary is equally feisty with chilli infused mezcal, Bold London Spirit, strawberry puree, grenadine and lime juice. The Good Sport is sweet and easy drinking with gin, amaretto, Cointreau, lemon juice and an edible chocolate topping, and the Posh on the Rocks is eye-catching and smooth with Absolut citrus, elderflower St. Germain, Briottet and white cacao presented in the finest glassware with edible gold glitter and a spherical ice cube. The Baby Colada, meanwhile, is one for the nominated driver with a blend of cranberry juice, pineapple juice, double cream, coconut syrup and fresh raspberries. Be sure to finish your evening with a visit to the hotel's Grand Staircase to showcase your best Wannabe dance moves, or splash out and book the Wannabe Suite Package, which includes a one-night stay, access to the Chambers Club, a cocktail masterclass on the Grand Staircase, a private photoshoot, themed pastries and the Re-Spiced cocktails. What are the best dining options near Re-Spiced at The Booking Office London? Re-Spiced at The Booking Office gyms, sporting activities, health & beauty and fitness. The best pubs near London Re-Spiced at The Booking Office. Re-Spiced at The Booking Office clubs, bars, cabaret nights, casinos and interesting nightlife. Where to have your meeting, conference, exhibition, private dining or training course near Re-Spiced at The Booking Office. From cheap budget accommodation to luxury 5 star suites see our deals for The Booking Office Bar & Restaurant hotels, including Hilton London Euston Hotel from 73% off.